Is the Recent Out of Africa model in crisis? A series of discoveries call into question the current understanding of how modern humans populated Eurasia, Australasia and the Americas. Indeed, the accrued anomalies are so numerous that the recent out of Africa theory paradigm is seemingly collapsing. American physicist and author, Thomas Kuhn, is highly respected for his extrapolation of the nature of scientific paradigm displacements as described in his book The Structure of Scientific Revolutions. 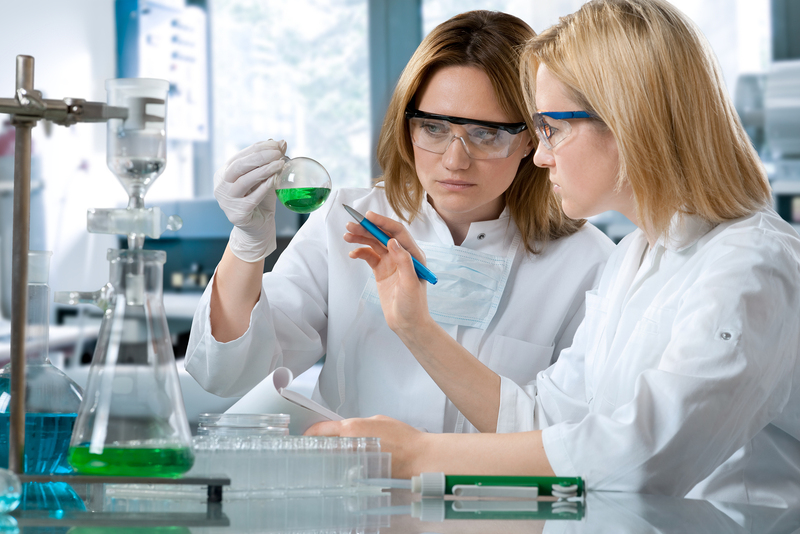 Kuhn describes a complex and five-step process involved starting with normal science, the adoption of a workable model which guides an investigation into a problem. 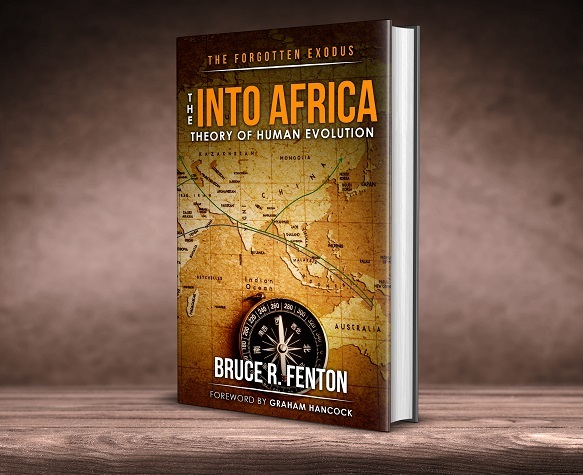 Recent Out of Africa Theory (ROoAT) has provided the framework for palaeoanthropological research during the last forty years, having emerged from mitochondrial DNA research carried out by Professor Allan Wilson and Rebecca Cann. Consensus understanding is that Homo sapiens emerged first in Africa somewhat earlier than 200,000 years ago (200Kya). These archaic Homo sapiens evolved further and eventually became anatomically modern humans (AMH) sometime between 200Kya and 120Kya. These people migrated out from East Africa in at least two waves, one early migration 120Kya and a more recent exodus between 73 – 60Kya. The motivation for this movement of people is suggested to be beneficial climate change giving rise to new grasslands providing a plentiful source of food leading beyond the continent, green corridors. The early migration purportedly failed to expand beyond the Near East while the more recent expansion successfully colonised our planet. The ROoAT model has functioned so well for decades, successfully explaining and incorporating a rapidly growing body of archaeological evidence and genetic data, that for some scientists it is inconceivable this model could be wrong. The second stage of Kuhn’s model cycle, model drift, is brought about by scientists uncovering an excessive number of unexpected discoveries (anomalies) which the paradigm cannot incorporate or explain. Chinese scientists have confirmed AMH fossils in multiple cave sites which inform us that populations existed far distant from Africa by at least 80 – 120Kya. Additional archaeological finds place AMH in Sumatra 63 – 73Kya and Australia between 65 – 80Kya. These finds undermine a crucial assumption of the ROoAT model that AMH did not exist much beyond Africa before 73Kya and offered a potential alternative ancestral population for Eurasians. Scientists typically dismiss the possibility non-African early AMH populations played a significant role in the ancestry of modern Eurasians. The basis for this rejection is the interpretation of DNA sampling of contemporary African Americans. Modern Eurasians (and Americans) are claimed to trace their genetic origins to an African mitochondrial haplogroup L3 and an African paternal (Y-chromosomal) haplogroup, CT. Using DNA samples to confirm regional continuity across a population’s history is problematic, at the very least you need multiple comparative DNA samples from individuals spread across the period of interest. To confirm haplogroups L3 and CT can be associated with Sub-Saharan and East Africans as far back as 73Kya we would need samples from that period extracted from fossils uncovered in those regions. The reality is that the earliest relevant DNA samples are around 8000 years old, while the oldest DNA from anywhere in Africa is approximately 15,000 years old. With a gap of tens of thousands of years in the record, it is entirely spurious to state the location of the ancestral population in which the target haplogroups emerged with certainty. Whether you can ever use DNA to fix a position for ancient communities is questionable, as one Palaeolithic archaeologist clarified for me, DNA only ever tells us about relationships between ancient peoples, not their geographic locations. The claim that Eurasians trace their origins to an African population carrying HgL3 is problematic for several reasons. Genetic research has confirmed that the early (basal) Eurasian people all carried just two mitochondrial haplogroups HgM and HgN, both are considered non-African. There is only an inferred mother to daughter lineage relationship between HgL3 and the Eurasian haplogroups HgM and HgN. It may be that HgL3 is not ancestral to HgM and HgN but instead shares ancestry through an ancient population carrying HgL (these people could be African, non-African or multi-regional). HgL3 emerged close to 73Kya almost contemporaneous with HgM & HgN. The above data raises another profoundly important question; how do we know HgL3 is even an African haplogroup? There is mounting evidence which strongly infers haplogroup L3 emerged somewhere in Asia before being carried into Africa by migrations. It has become clear that HgL3 is not notably older than either HgM or HgN and the oldest variants of these Eurasian haplogroups are found in Australia and Southeast Asia – not in the regions just beyond Africa. The mapped pattern of expansion shows that HgL3 expanded westwards into the African continent. While HgL3 clusters tightly with both HgM & HgN, it is found to be the most distant of the six purportedly African haplogroups (HgL1, 2, 3, 4, 5 and 6) once compared. The sudden contemporaneous emergence of three new mitochondrial DNA lineages among a small effective population (whether African or non-African), calculated at around 200 people, is highly irregular. Consider too that this population also exhibits a new male Y-Chromosomal haplogroup, HgCT. The mtDNA mutation rate differs from that of Y-Chromosomal DNA by a factor of 10; the statistical likelihood HgCT would suddenly emerge among these same people at the same time is extremely low. In fairness, you will find that haplogroup CT is sometimes described in the literature as having appeared probably in Africa but possibly in Asia. Anomalies are not only present in the genetic data, they are also present in the archaeology. From around 73Kya and in the subsequent few millennia there is distinctive cultural adaptation underway in Eastern Sub-Equatorial Africa. Archaeologists in Sub-Saharan Africa have identified changes in compounds used for paints, the first emergence of abstract art and the appearance of advanced hunting technology in the form of bows and arrows. The described changes represent a significant cultural shift coinciding with the arrival of the new male and female DNA lineages. Before leaving the anomalies, it is necessary to highlight some issues emerging from recent paleoclimate studies. Two separate studies have concluded in the last couple of years, and both revealed that climate across Northeast Africa as well as the Levant and Near East was changing for the worst 73Kya. In fact, these regions entered a lengthy period of severe drought and biting cold. According to the climate models, this harsh environment endured without let-up until around 55Kya. This marks the death of the ‘green corridors’ hypothesis leaving it hard to conceive of any motivation for humans in equatorial Africa to expand outwards towards the northeast. Kuhn tells us that the third stage of the model cycle begins with many anomalies that can’t be incorporated into the existing paradigm through structural modifications. In this stage, the model crisis, the model can no longer explain the observed data associated with the original question or problem. It is my opinion that ROoAT has been in crisis for at least three years, my book on this situation was published back in April 2017. There have been several hypotheses proposed which would modify ROoAT and thus save it from collapse, however, each of these has since been disproven. I want to single out Michael Petraglia of the Max Planck Institute (and his team) for disproving many of these poorly formulated ‘patch-up’ hypotheses. Once the old model fails there will be scientists aware of the problem and some of these people will propose one or more competing models as a reaction to the crisis. Kuhn’s identifies this fourth stage of the cycle as the model revolution. There are already models emerging as potential replacements for ROoAT, some centre on China or Central Eurasia while others suggest a more multi-regional structure. My ROoAT replacement model centres on Australasia and Island Southeast Asia. Recent Out of Australasia & Into Africa Theory recognises the evidence placing AMH widespread beyond Africa by at least 80 – 120Kya. These early human groups formed socially interconnected networks stretched from South Africa to South Australia with genes shared across regions through widespread interbreeding. In 2011, a study published in Science revealed that aboriginal Australasians initially diverged from other ancient populations 62 – 75Kya (fitting well with mtDNA-based coalescent estimates of 45 – 75Kya for non-African founder lineages). The sudden change begs the question of why this split occurred in the linked AMH populations. Around 73Kya the Lake Toba supervolcano erupted on Java and initiated a radical climate shift, the aftereffects were a disaster on the scale of a nuclear winter. The north-westerly direction of the prevailing winds carried the more significant part of the expelled dust, ash and toxic gases across Southeast Asia and then swirled it upwards into the stratosphere. This event caused the entire Northern Hemisphere to be enveloped in a shroud of sunlight-reflecting materials; the result was significant cooling, toxic ash fallout and acid rain. The modern human genome carried the scars of this global (or hemispheric) cataclysm, evidencing a contraction of the population with significant loss of genetic diversity close to 73Kya. The effective population across the globe fell to around 10,000 people. The regions offering maximum insulation from the climate disaster were sub-equatorial Africa, Australasia and South America. To best explain all available data, we need only posit that a group of climate refugees crossed from Western Asia into East Africa via the Bab-el-Mandeb Straits close to 73Kya. This movement would be motivated by a combination of environmental problems and associated social upheaval. These refugees carried haplogroups HgL3 and HgCT came equipped with deadly bows and arrows. If local African populations resisted this ingression we can infer they failed, we know cultural changes occurred, and the new haplogroups survived to be inherited. As discussed previously HgL3 and HgCT spread steadily towards the west and south of the continent after appearing in East Africa close to Bab-el-Mandeb. Studies of Toba ash fall in Sub-Saharan African lakes tells us that the localised impact on the environment was not overly severe. AMH weathered the storm safely in their sub-equatorial enclave, hemmed in by a long period of cold and drought to their northeast. This dire climatic situation persisted until around 55Kya, well into the period associated with the populating of Eurasia. Before continuing, I should clarify that there is experimental evidence in genetic data suggesting the possible survival of some minimal number of basal Eurasians across continental Eurasia. The more significant number of survivors from the Lake Toba event would be those in climate refuges located south of the equator. Stone tools are found both above and below the Toba ash layer in southern India, confirming survival beyond the immediate impact. Displaced East and Southeast Asian populations would have potential access to safe zones in Island Southeast Asia and Australasia. We now have evidence of AMH potentially contemporaneous with Toba in the form of fossils found in a Javan jungle cave (possibly some survivors were forced into deep jungles) 63 – 73Kya and also at a human habitation site in Australia’s Kakadu National Park (northern coast) at 65 – 80Kya, but potentially even earlier. Academics recognise that a vast region of Northern Australia and Southeast Asia has been lost to sea level rises, inundating the previous coastlines where the earliest humans in the area would have lived. Fortunately, we do have evidence of humans in Australia at dates even earlier than those associated with the above-described discoveries. At Point Richie in the far south of the Australian continent, noted geologist Jim Bowler (of Mungo Man fame) has speculatively dated a shell midden site to 70 – 80Kya. In 1992, leading climate scientists led by Dr Peter Kershaw examined core samples extracted from the Great Barrier Reef, this revealed evidence of firestick farming 140,000 years ago. While this date may sound too extraordinary for some tastes, it came on the back of a previous University of Tasmania study, led by Dr Gurdip Singh, in which a climate study identified traces of firestick farming 130,000 years ago at Lake George, nr. Canberra. Recent DNA studies have revealed that the modern Papuan genome includes traces of interbreeding between an AMH population present 120Kya and a second more recently arrived group. This latter point supports the suggestion of climate refugees from the Toba event encountering pre-existing Australasian residents. Around 60Kya migrants began to move northwards from Australasia into mainland Southeast Asia. Finds of AMH fossils at cave sites in Laos dating to 46 – 63Kya seem to mark one of the involved expansion routes. Multiple genetic studies conclude that the colonising of Eurasia post-Toba began close to 60Kya, offering a perfect fit with the finding that Aboriginal Australians and Papuans split from Europeans and Asians about 58,000 years ago. Even a cursory glance at the mapping of archaic Y-chromosomal haplogroups in Eurasia tells you that the founder population expanded from east to west, opposite to the expectations of any ROoAT thinking. At the root of this new Eurasian population were the ‘Aboriginal haplogroups’ HgM and HgN – and the fossils of the first migrants exhibit skeletal morphology described as Proto-Australoid due to the inherent similarities shared with Aboriginals. This expansion eventually reached Europe and North Africa by around 45,000 years ago. To move this cycle towards completion requires true revolution as the existing consensus models are so entrenched into the mental habits of those using them that a new way of thinking can be incomprehensible or unacceptable. Kuhn warns us that this stage of the paradigm shift is almost always turbulent, painfully slow and chaotic. How the revolution plays out depends on the vested interests associated with the old model and the number of people standing to lose from the change as well as the severity of the potential losses. The Recent Out of Australasia and Into Africa Theory currently works for all the data I have encountered in my investigations. That level of harmony could change, and I certainly expect further shaping to occur once more scientists take a closer look, If any decide to do so. Kuhn, warns that anyone biased towards an existing consensus paradigm will immediately consider any new one inferior, even if the new one it is better. The conflict between two paradigms is not usually resolved simply by proofs. It is once scientists come together with readiness for an honest exchange that they can formulate a new model. This fifth stage is paradigm change, and once it happens, the new model is then shared onwards to all relevant students and academics. The final step in Kuhn’s cycle is complete only once the new model is widely accepted as the guide to future research and discovery. To offer the understatement of the century, we are not quite there just yet. David Reich let the cat out of the bag when he said that human racial justice should not depend on genetic equality. 1) He is in a position to know that so called “debunked” multi-regionalism is correct long before publication. They have been holding some key data for some time now. Too controversial! Need more time to prepare the masses! 2) His mission is to make sure that the new paradigm serves his politics, even now you hear him say “no one was ever ‘pure'” – a falsehood; for even a mixing population can become homogeneous with enough isolation and time, and that happened in fact numerous times. Others will say we all evolved “globally”. Always got to put those political values ahead of the science, eh?! There is only one genus, the Homo genus!